Situated in landscaped surroundings close to the University’s new city campus, the centre will add a stunning new chapter to the story of the city which gave the world its oldest newspaper, Elgar and Royal Worcester. The Hive houses the University and Public Library services in a fully integrated way with the amazing variety of collections open to all. Part of the offering is a magical children’s library with spaces to get creative, a Heritage Trail to explore and a huge range of books, CDs and DVDs to enjoy. The library will house over 26,000 records of historic sites and buildings and 12 miles of original documents. The history of Worcestershire from the Ice Age to the present day is brought to life using the latest technologies. The Worcestershire Hub is the first point of contact for council services across Worcestershire. The existing Worcester Customer Service Centre will relocate to the centre. The Hub will also be working with other agencies to offer on-site surgeries for customers. Students and staff will be able to find a space to suit their study needs, from group work to individual silent research. Full wireless coverage and over 250 desktop computers are available, with experienced staff on-hand to help and advise everyone on using the extensive digital and print resources. 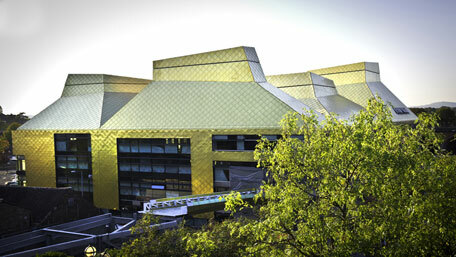 The UK's first fully integrated University and Public library opened July 2012. This is the archive site for the history of its development. The University of Worcester website for The Hive. One of the first buildings in the world designed to resist the effects of climate change.